Presented in beautifully muted tones, the sometimes wistful yet always pretty Winton Avenue lets us in on the envy-provoking wardrobe and travels of lifestyle Instagrammer and blogger Majd Khoury. 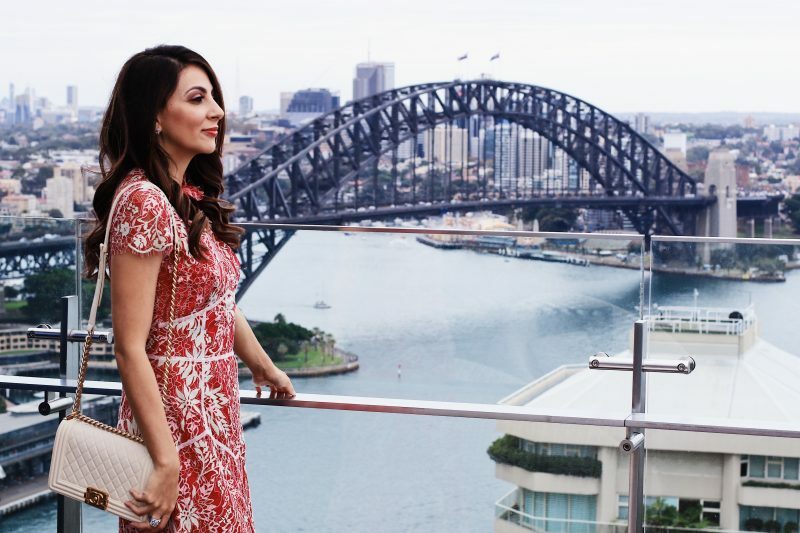 We spent an afternoon with Majd taking in the breathtaking views from the rooftop of the Intercontinental Sydney, as we talked everything fashion, beauty and of, course, L’unico’s beautiful range of skincare products. Winton Avenue is a fashion/lifestyle Instagram account and blog I created almost 4 years ago having always had a love for fashion and design. The name Winton Avenue comes from the street name of the home I grew up in as a child and teenager where I fell in love with everything fashion related. It shows off my personal fashion aesthetic that hopes to inspire my followers and encompasses snippets of my traveling destinations and everyday details that catch my eye. Who takes all your gorgeous photos? The photos of me are mostly taken by my insta-hubby Charlie (excuse the cliché!). My detail shots are focused on what inspires me, such as architecture, interior design, nature, and flowers, and are taken by me. Who are your favourite designers / labels? Where do I start! My all-time Aussie fav label has to be Zimmermann. It exudes femininity with its striking original floral prints, dainty styles and refined fabrics. I also love Maticevski, whose style is fresh and cutting edge, Elliatt, which is a newish label I wear often because they’re nailing current trends, Dior, Marchesa and Elie Saab, who all design delicate textured red carpet gowns that leave me smitten. Are there any blogs or instagram profiles you follow religiously? Absolutely! I’m drawn to classics and I’m a romantic by heart so naturally I’m a die-hard fan of the darling Jenny Cipoletti from @margoandme I’m also very much inspired by Wendy Nguyen from @wendyslookbook as well as Carin Olsson from @parisinfourmonths who lives in Paris – something I would have loved to do. Grace Kelly- not only did she radiate in overall style and beauty but her life was extraordinary. How many females can say they lived a fairy tale let alone two in a life time? From a Hollywood actress and IT girl to a princess. Her life and legacy fascinate me. Taking care of my skin is vital. Therefore quality products are always the key. Cleansing daily in the shower, exfoliating once or twice a week and an SPF moisturiser with a good dose of amino acids as well as drinking plenty of water to help fight the signs of dehydration is all a must, especially at my age. Do you have any special skin care needs? I’m in my mid 30s and my skin is now more slightly on the dry side, so other than trying to avoid the sun as much as possible, I need quality products to keep my skin feeling hydrated and supple. A good exfoliator is also important to me as I can’t stand the feeling and look of clogged pores over makeup. 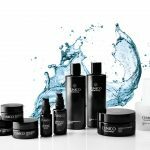 Which is your favourite L’unico product and why? I have two! After experiencing L’unico I’ve absolutely taken a liking to the PHYTO Fruit Micro Peel. The Hydroxyl acid removes dead skin leaving my skin feeling ultra clean, hydrated and smooth. I’m also a huge fan of the Vitamin C Serum, I love the high concentrate of Vitamin C. The serum is a silky smooth texture and is instantly absorbed leaving no residue and allowing me to apply my foundation on top easily and conveniently as I’m always on the go. What’s next for Winton Avenue? Interesting question! I don’t have a definite plan, however I would like to focus more on fashion in the near future and feature more outfits rather than detail shots. I would like to continue to work on more unique and exciting collaborations with brands I respect and just continue to stay true to my personal aesthetic whilst growing my blog further to see where it takes me next. Who knows! Let’s just wait and see.